The winner of the 2018 Klaus Flugge Prize for the most promising and exciting newcomer to children’s book illustration was announced last night, Wednesday 12 September. 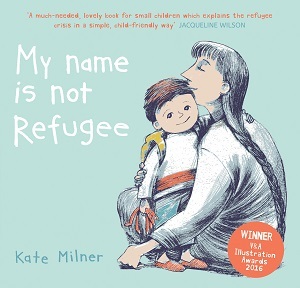 I’m delighted to tell you that the prize went to Kate Milner for My Name is not Refugee (Barrington Stoke), and I was lucky enough to ask her about her win. 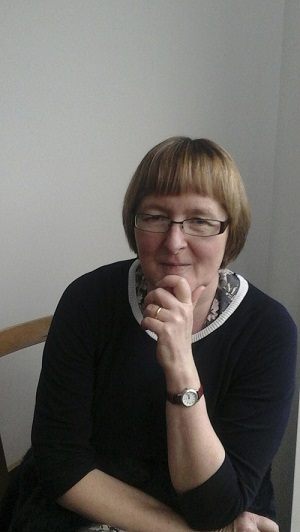 Kate studied illustration at St Martin’s College as a young woman – and illustrated magazines on Commercial and Housing Law for a while, but spent most of her career as a librarian. Cuts to the library service resulted in her losing her job, and that prompted her to do an MA in children’s book illustration at Anglia Ruskin University. She created the story that was to become My Name is Not Refugee as part of her degree show, and with it won Student Illustrator of the Year in the V&A Illustration Awards. And now the prestigious Klaus Flugge. How do you feel? I am absolutely delighted and quite astonished. I really did not think I had a chance. The award-winning book is called My Name is Not Refugee. In modern history there have always been refugees. Why do you think your book has been so popular/ caused such a reaction now? I wrote the book to explain to children what a refugee is. I wanted to get a tool into the hands of teachers, parents and librarians to help them define the term for children and give some small hint of what the experience might be like. The issue has become much more contentious recently because many on the right like to depict refugees as invaders or spongers, not people in real need. I wanted to provide something to be used by people with a more balanced view. You said you felt quite angry when you were drawing the illustrations for the book, in particular the one with the caption ‘We’ll sleep in some strange places’, but that the anger hasn’t filtered through in the final book – it’s stripped back. Which emotion would you like children to feel when reading the book? I would like children to feel sympathy for the plight of refugees and curiosity about why they are in such a difficult situation. It was important to me not to make this an angry book, children don’t need adult’s anger; they need clarity. Did it take a long time to write and illustrate the book? And did the stripped back illustrations and limited palette come naturally as you were planning? I certainly wrote and illustrated the first draft ridiculously quickly with, lets be honest, not very much planning at all. I thought of the idea about twelve days before the final critique for my MA at Cambridge. It was obviously supremely stupid to embark on a new project so close to the end of the course; I tried to stop myself but I failed. The stripped back quality comes, partly, from trying to make a book that applies to all sorts of refugee situations so trying to avoid specific details like domestic interiors. At that stage it didn’t really have a palette, that evolved later in discussion with the publishers. Do you feel that your book has a happy ending or is it ambiguous? It is happier than the reality of most refugees lives would suggest. 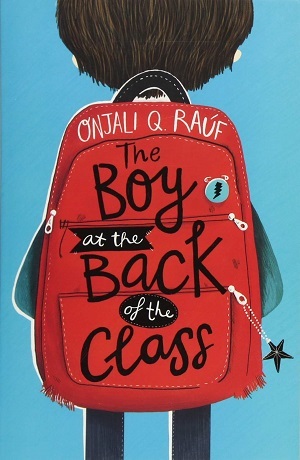 I wanted children to be able to read it as happy, and the boy at the centre of the book is a cheerful, outgoing character so I think he would flourish. I’m not sure his mother would find it so easy. Is there a need for more political books for young children? I don’t think children care much about party politics, and who can blame them, but they are curious about an increasingly complicated and inter-connected world. Picture books are a very flexible and relatively cheap way of introducing all sorts of new ideas, emotions and information. Nice, decent adults tend to feel that children should be shielded from politics, and I can see their point but, if we’re not careful the only voices they hear on these subjects are ignorant and shouty. You started life as an illustrator but then became a children’s librarian. 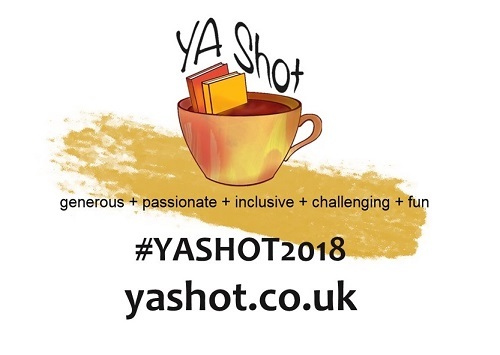 Do you think you have a special insight into what children want from a picture book by being blessed with these two different but rewarding careers? Working in a library certainly made a huge difference to me. Being surrounded by children’s books all day was really inspiring. My job involved reading out loud to groups of children and reading a book out loud is such a good way of discovering if it works or not. Too much detail about the thoughts and feelings of farmyard animals bored me as well as the children I was reading to. Knowing something about children has been a huge advantage in one respect, I know that they are curious about many more things than they are sometimes given credit for. Can you tell MinervaReads readers a little bit about your next project/book? I am working on a very different kind of book for Pushkin Press, a novel for middle grade children with illustrations. It’s called Duncan and the Googleys and it’s a serious book with jokes about the way modern media works for children and against them. I am also looking forward to doing more projects in the vein of My Name is Not Refugee and I’m working on an idea at the moment. My current passion is for The Railway Passage by Charles Keeping published in 1974. It is a strange tale about a group of old people winning money on the football pools and the perils of wealth. I love it because it conjures a whole world of people and places, and because the drawing is superb. What advice would you give budding illustrators or authors? The very worst plan is to produce work that you think will be commercial. It won’t be, it will just be derivative and stale. Make work that matters to you, make it as fun and lively and real and magical as you possibly can. Congratulations again on your win, and thank you for answering my questions. You can buy Kate Milner’s My Name is Not Refugee here. 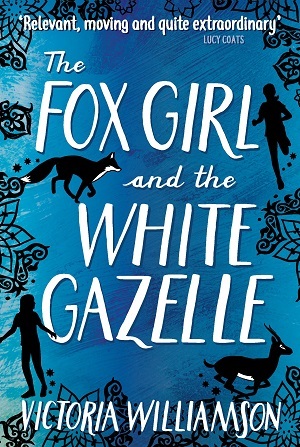 Victoria Williamson’s debut novel, The Fox Girl and the White Gazelle, is the compelling story of two frightened girls who are dealing with traumatic circumstances within their own families, and yet through their unlikely friendship, manage to overcome and even banish some of their fears. When the two girls discover an injured fox and her cubs hiding on their estate, they realise that a friendship between them will help the foxes. Slowly, they discover that they have much more in common than just saving foxes, and soon it is Reema (a Syrian refugee) showing Caylin (a native Scot) how to fit in and belong in their local Scottish community. The power of their friendship gives a stability and a hopefulness to both girls. 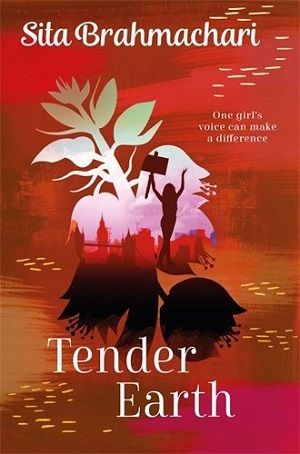 Caylin is troubled – the reader first sees her in the role of bully, taking birthday money from a school girl, but the reader is soon aware that although Caylin’s actions can’t be excused, there are reasons behind her behaviour. Williamson draws Caylin with breathtaking empathy. Caylin is a wonderfully drawn character – distrustful of adults around her due to past circumstances, predisposed to show a lack of effort at school, and yet remarkably likeable, and completely misunderstood. 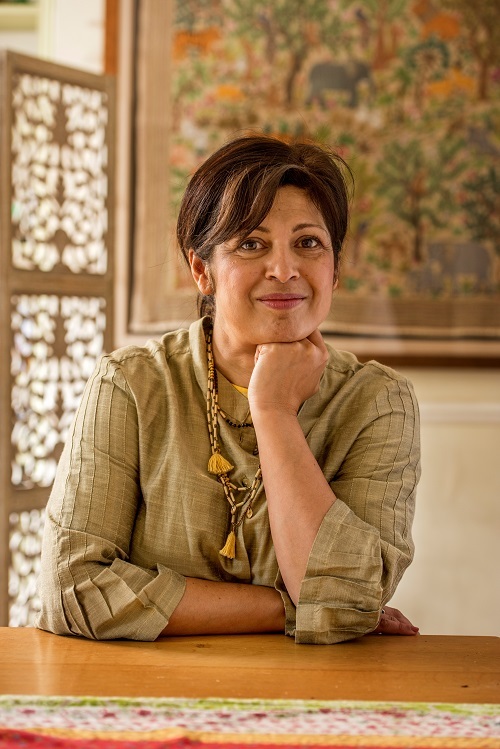 And Reema too, is shown bravely straddling her old and new lives, embracing her new culture whilst trying not to eschew the old. But it’s Williamson’s own grasp of the two cultures that makes for such an effective read. Harissa cake, mint lemonade, tangerines, pears, plums, beans, soup, fish and chips, battered sausages, tea, lamb stew, peanut butter sandwiches, chocolate biscuits, corned beef, porridge, pizza, chewing gum, toast and jam, tabouleh salad, chicken shawarma, baqlawa pastries, ma’amoul cookies, bubblegum, coffee, meatballs, yoghurt, ice cream, custard, sweet and sour pork, crisps, flatbread, chicken casserole, pancakes with whipped cream and chocolate, black pudding, haggis, Irn Bru and deep-fried Mars Bars. Mama makes the tea that our neighbour has brought instead of using the packet of tea leaves the mosque gave us along with a big box of food supplies. She is afraid the old lady will not like our strong Syrian tea, and she wants our guest to feel welcome. I try not to make a face as I sip the weak brew. It tastes soft and sad, just like the Scottish rain. I long for a cup of strong black tea and the lashing rain of home. It got me thinking about the time I spent working as a teacher in Africa, particularly my two years in Cameroon. The food was so different from anything I’d eaten before – boiled fufu corn and Njama njama (a kind of fried huckleberry leaf), rice and bean stew, ‘foot cow’ pepper soup, and egusi pudding (ground seed paste with dried crayfish). And then of course, there was achu. I thought I would never, ever get used to the taste of achu and yellow soup. It looks about as appetising as it sounds: a grey, volcano-shaped mound of pounded coco yam with a play-doh like consistency, and thick yellow soup with a crushed limestone base. The first time I ate it the only way I could swallow it down was to take a big gulp of water with each bite, fake-smiling at the teacher who’d spent hours preparing it for me and hoping I wasn’t going to look like an ungrateful guest by throwing it up on the table. Try as I might to avoid it over the next two years, it turned up regularly at the end of each long school meeting, prepared by some of the female staff. We’d share a drink and a laugh together over our meal, and eventually I learned to tolerate and then grow strangely fond of the grey goo that I’d struggled to swallow at first. Towards the end of my time there, I found my mind wandering in class when lunchtime approached, but it wasn’t the rice and beans I enjoyed so much at the local chop house I was thinking about. I couldn’t get the thought of my mother’s shepherd’s pie and cherry scones out of my head. There were times I’d even think longingly of the oxtail soup she used to make for lunch when my brothers and I would come running home from primary school, which was odd, as I didn’t even like oxtail soup! My mouth is watering at the very thought of my favourite dishes, but Sara is frowning at me as though I am speaking a foreign language. 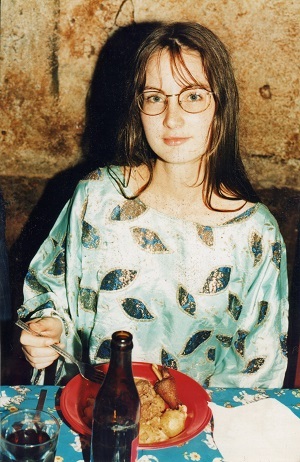 In the months after I returned to the UK, I got to eat all of the food I’d missed – my mother’s homemade cooking, spaghetti Bolognese, moussaka, chille con carne and chocolate cake. But one day as I finished teaching a maths class just before lunch, I realised a strange thing. Instead of fantasising about the pasta and pizza, fish and chips or baked potatoes in the canteen, all I could think about was a big plate of achu and yellow soup. Two years of trying to avoid the stuff, and there I was missing it like a long lost friend. That was when I finally understood. It wasn’t about the food at all. It was about the people I’d shared the food with that made the memories of it so powerful. I snuggle up next to her on the couch and rest my head against her fluffy dressing gown. She puts her arm round me and holds me tight as we laugh at the stupid film and the rubbish acting. This is my favourite time of day – just before bed, when Mum’s slept off the doctor’s tablets to help with her depression, and before she reaches for a bottle to help her through the night. This is when I can pretend we’re a proper family again and the accident that ruined it all didn’t ever happen. On the way home we stopped at Michael’s Superchippy. We had a great party eating Syrian food with the Haddads a couple of weeks ago, and I wanted to share something from Scotland with Reema and Sara. I asked Brian to get them a black pudding or haggis supper, but he said they weren’t allowed to eat meat that wasn’t halal, from their own Muslim butchers. I was disappointed, but Brian winked at me and asked the guy serving us for a deep-fried Mars Bar each for pudding. Now we’re sitting on our sofa, eating chips and deep-fried chocolate bars, and I can’t stop laughing at Reema’s impression of a Glaswegian accent when she says “pure dead brilliant!” and takes a swig of Irn Bru from her can. Brian can see that Reema doesn’t like her saying that, so he says quickly, “You’re Syrian-Scottish, Sara. You get to be two things at once, which is extra special as most of us only get to be from one place, and that’s boring.” Brian’s good that way. He knows how to say the right thing and make people feel more relaxed. I was totally wrong about him. He isn’t a bit like Mum’s old boyfriends. “Syrian-Scottish? Yes, I like that,” Reema smiles and clinks her Irn Bru can against mine like it’s champagne we’re drinking. So next time you’re far from home and faced with a strange dish you’re not sure you’ll like, take a look at the people you’re eating with. If you’re willing to let your guard down and make new friends despite language and cultural differences, then chances are you’ll come to miss that food just as much as the friendly faces round the dinner table when you leave. With thanks to Victoria Williamson for writing with such passion about her novel. You can buy your own copy here. I first met the artist Grace Emily Manning when I walked into a cafe and she had an exhibition of her beautiful Kites flying above my head. 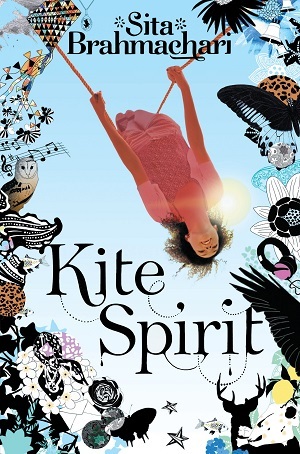 I had just been asked by Pop Up Festival to create an exhibition around my novel ‘Kite Spirit’ and so I thought our connection was ‘meant to be’. I contacted her and found that she was studying for her final year at Central St Martins and asked if she would like to create an installation so that people would have the experience of physically walking inside my book! Grace worked with textile artists from The Royal Opera House and created the most beautiful landscape of owls, moss, heather​ and sculptures for readers to explore the themes of the story. 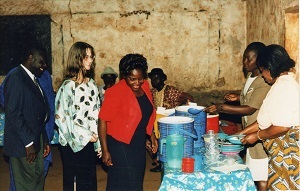 Since then Grace and I have worked together on many projects. She has created a magical patchwork storytelling quilt for me to take around to schools for creative writing inspiration (a film of this has been made for Pop Up Festival.) She created an animated for my novel ‘Red Leaves’ and now this beautiful animation for ‘Worry Angels’. TRAILER: Worry Angels by Sita Brahmachari from Barrington Stoke on Vimeo. It’s by no coincidence that the name of the artist-teacher who runs the Sandcastle Support Centre is also called Grace! The ‘Worry Angels’ book trailer gives a visual insight into some of the symbolic elements of my story and captures deep feelings children and young people have about how we can communicate our worries and anxieties even when everything in life feels like its changing and built on shifting sands. 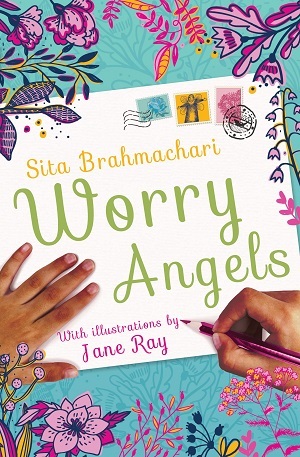 Worry Angels is published today by Barrington Stoke, and is available to buy here. An exquisitely moving picture book for an older age group that displays extraordinary depth in an ordinary tale of a boy moving to a new place and trying to make it feel like home. In fact it is Wales, and an Italian immigrant boy’s interpretation of his new surroundings. This is a poetic reading, of a place our narrator feels is bleak. The text informs that he feels alone, and the accompanying evocative and dreamy illustrations tell the same story, with an emphasis on work and hollow spaces, faceless houses, and isolation. The boy remembers the contrast of the different smells and tones of the place he calls home – the Italian vanilla smells, yellow backgrounds, ice cream. The boy’s memory of home has been sparked by the sound of the Welsh pigeons cooing. In fact, his ensuing hope and salvation come not from new friends at school, but from a friendship with an elderly man and his hobby of pigeon racing. This boy isn’t a toddler – again showing that this picture book isn’t for the very young, but for those who are able to fully utilise the given visuals to embellish in their own mind the narrative that is written on the page, and for those who can probe a little deeper into the emotion and meaning behind the text. There are many layers to explore in the text, such as the boy’s ability to understand a different language through the soft speech of his new friend, the different foods he eats, and the growing friendship with the old man. But the illustrations bring out so much more, not just the contrast between the landscapes, but the change to the landscape as the boy settles; the intimacy between the man and boy that extrapolates the teaching and wisdom being imparted; the industrious town in which the boy has settled and all the different characters who populate it, from the farmer on his wagon to the mother hanging her washing; the memories of fighting in the war; the different modes of transport and communication depicted; and finally the flight of the pigeons and the warmth that they exude. This is an unusual story, timely indeed, although the pictures of war and the landscape make it seem historical. It is about memories of war and conflict, the settling of a newcomer in a town, as well as old age, and ultimately hope and friendship. The depiction of the landscape’s industrialisation creates a nostalgia for a time past, as well as a nostalgia for the glowing images of Rome, as if the sun is just setting across the pages of the book with its orange and pink glow. 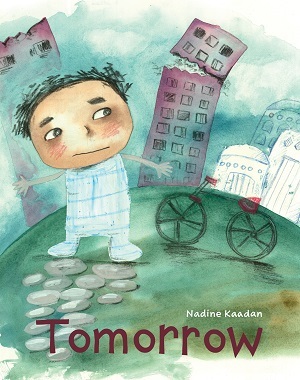 But it ends with a look to the future, as the boy realises that home is where the heart is. You can buy it here. One thing I always knew I had to instil in my own children, and in the children I work with, is a sense of history. Where they come from, from whom they are descended, how they got where they are today. Whether it’s tracking a grandparent’s entry here via kindertransport, or a boat, smuggled on a truck, or simply purchasing a plane ticket, most of us have a story if we look back further enough, and dig deep enough. Not many of us were born and bred where we live today. Three novels that take away the label and instead highlight individual stories – so that we can see the people behind the headlines – are A Dangerous Crossing, The Bone Sparrow and A Story Like the Wind. There’s not just a stark photograph of suffering here, splashed across a newspaper, but fully rounded characters, with hopes and fears, with pasts and futures. They all desire food and shelter, but they all have different ideas of home, of safety, of the kind of future they want. They are all individuals. What they have in common is the need to move from the place they called home. When 13 year old Ghalib Shenu is caught in a barrel-bomb explosion in Kobani’s souq in Syria, his family decide enough is enough and they must leave. Together with his siblings, parents and grandmother, Ghalib begins the long journey from Syria to Europe. Because the reader is so involved with Ghalib and his family, the hurt and humiliation sting. Mitchell also allows the reader to dwell on things that we ordinarily might take for granted – the wrench to leave the future you had assumed would be there for you in your home country – the bonds at home – family, friends, a business, books, belongings – all those things which give a person a sense of individual identity – something that’s stripped when you’re labelled as a refugee. As Ghalib and his family progress further on their journey, the book becomes tenser, at first crossing the border, then leaving the refugee camp, and finally attempting the boat crossing. This last piece causes stomach-churning anxiety – Mitchell’s writing prickles with tension. Mitchell portrays the family’s powerlessness brilliantly, and although the language is English and written with literary style, using challenging vocabulary such as ‘redolent’ and ‘pulverise’, the reader does get a good sense of the Syrian lifestyle – the smells and tastes of Ghalib’s home, the way of life. 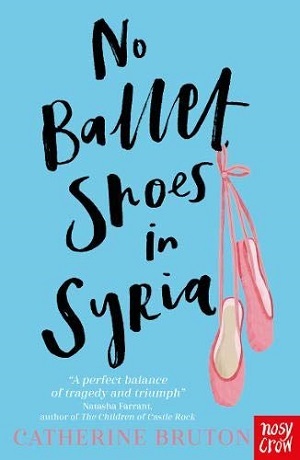 Told in first person, the text feels immediate, but the secondary characters are also fleshed out well, each bringing authenticity to the story, but also highlighting different issues, from the treatment of the elderly, to treatment of women, as well as those who are too young to have experienced any other Syria than one which is at war. This is a powerful book, well-researched and written, and achieves its aim of encouraging sympathy and understanding, but importantly, telling a really good story. The publisher recommends the book for 11+ years, but I would wager a fluent reader aged 10+ would be capable of understanding the text too. You can buy it here. This is a gripping story without a physical journey, and tells the story of one boy who was born in a detention centre, and has never known anything different, and highlights a group of people who aren’t brought to the media’s attention very much. Subhi, aged 10, is a member of the Rohingya people of Burma, but has never known his homeland, relying only upon the memories of the older generations. This gives the novel both the grief of the elders for what was known about Burma, but also gives Subhi a grief for all the unknowns too. Fraillon excels at highlighting the extreme hardships and terrible conditions of the refugee camp without the book becoming too depressing or maudlin, by the fact that Subhi possesses an overwhelming optimism – a sunny disposition no matter how hard things get. Much of his day is spent in drawing and stories. There is no entertainment, no outside distractions. His height is measured on the diamonds on the wire fencing, there is no school, scarce food. In a Boy in the Striped Pyjamas allusion, Subhi is befriended by Jimmi, a girl who gets through a hole in the fence from outside and rejoices in Subhi’s ability to read stories to her. In return for his reading, she brings food from the outside. It’s never explicitly stated in which country the camp is, but the reader assumes it is Australia. Both children seem fairly oblivious to the fact that their meeting is unusual, and that the way Subhi is treated is profoundly wrong and must be changed. In fact, it’s not just Australia that isn’t mentioned – Faillon, one must assume deliberately, doesn’t show many traits of the Rohingya people. Also, the gap in the fence, set against the rules and severity of camp life, seems fairly unrealistic so that, as in The Boy in the Striped Pyjamas, the story becomes fairly allegorical. What does feel very real though is the depiction of the harsh life and treatment within the refugee camp – the terrible conditions, and the references to the horrible scarring – both mental and physical – that the older refugees faced before their arrival in the camp. 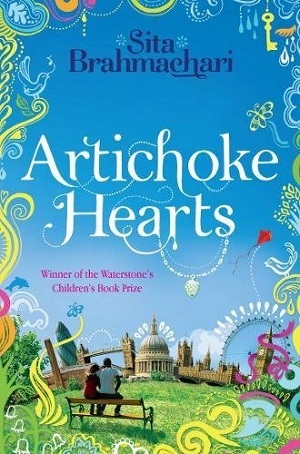 The crescendo of the story when it comes is horrible beyond words, and yet because the children have shown how powerful friendship and storytelling can be, there remains a great deal of hope at the end of the book – even if Fraillon’s afterword brims with anger. Fraillon displays a wonderful lyrical lilt to her writing, a compelling voice with a gripping story, and has been shortlisted for both The Guardian Children’s Fiction prize and for the CILIP Carnegie Medal 2017. The overall message is one of hope, but also the meaning of freedom – it’s more than just being free from the containment of fencing, it’s the entitlement of a future. 10+ yrs. You can buy it here. This highly illustrated book for seven year olds and over, meshes myth with reality in this storytelling tale about a boy who narrates a story over a night spent adrift at sea, to a boatload of fellow refugees escaping from their war-torn homeland. They carry nothing with them, except their names and their memories. Rami, the narrator, cleverly plays his violin to accompany his storytelling, using music as the universal language to bind humans together. 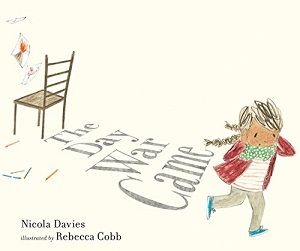 In this way, reminiscent perhaps of The Mozart Question by Michael Morpurgo – which used music to highlight the plight of Jewish refugees fleeing the camps of the Holocaust – Lewis attempts to use the story of how the violin came about to tell a story of hope and freedom in a time of war and injustice. Rami tells his fellow refugees the story of a young boy who rescues a wild foal from near death and nurtures him to life, whilst refusing to claim ownership of him. When he races the horse against the Dark Lord and wins, the Dark Lord banishes him, and takes ownership of the horse – treating it cruelly – until it escapes and finds its way to the boy in exile, before collapsing and dying. The boy takes the beast’s bones and carves a violin from them. The story that Rami tells draws connections between the cruelty of the Dark Lord and his harsh treatment of his subjects, to the cruel treatment that the boat’s passengers have endured in their war-ravaged country from which they are escaping, as well as explaining the meaning of freedom and dignity. There is no resolution to the overarching story – the refugees remain floating in their boat with only the beauty of the music against the waves to succour them – but this is an interesting fable to disseminate the big issues that face humanity today. Beautifully illustrated by Jo Weaver in a dream-like fashion, this is an unforgettable little story. You can buy it here. Children In Our World: Refugees and Migrants by Ceri Roberts and Hanane Kai is a non-fiction text that seeks to explain gently what we mean when we label someone a refugee or a migrant. Who are they? Where have the come from? In very clear, unchallenging text, this square book – laid out like a picture book – presents a tame factual reality of what we mean by refugee and migrant. It describes why people move from their homeland, what they have left behind and why they might leave in a hurry, as well as life in refugee camps, what it means to seek asylum, and lastly what the reader can do to help people. The text is written for a Western audience, explaining to a child to make a new child welcome in their school, as well as repeating the usual rhetoric nowadays that children should discuss with an adult any worries or fears they have, making clear how unlikely it is that they themselves will become refugees. There’s a glossary at the back, and a ‘find out more’ section. The images seem to imply there are different families and children being shown, although always with the same cat, and although there is clearly a diverse range of nationalities from the clothes and hairstyles, the colour of skin remains the same. The imagery is supposedly generic in tone – pastel colours throughout, and the trees remain the same in all landscapes, presumably putting across the message that we are all the same the world over. The cat brings slight levity to the subject. It’s a good text to have in a school library for a 6+ age group who may have questions, but I think for greater depth and insight individual stories, highlighting our differences whilst at the same time delineating our common necessities – love, shelter, food etc – will always win out. You can buy it here. 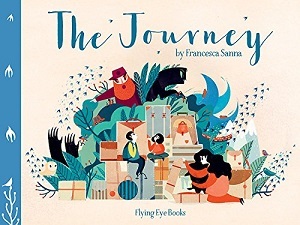 There are so many many more refugee stories, from the obvious, such as Elizabeth Laird’s Welcome to Nowhere, picturebook The Journey by Francesca Sanna, and the everyman refugee story, Close to the Wind by Jon Walter.